THE SUBTITLE OF Jon Meacham’s massive new life of Thomas Jefferson promises a probing exploration of how-he-did-it—the ways and means of power politics. 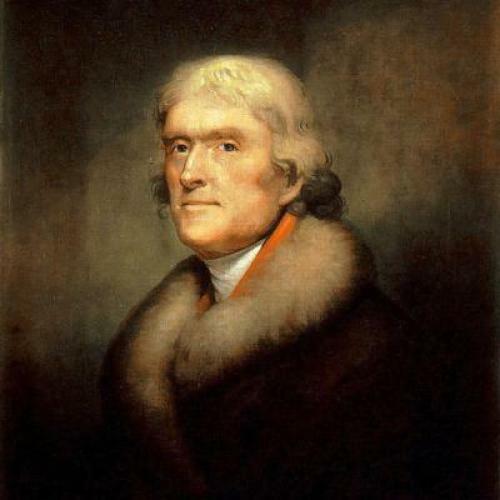 Since Jefferson is generally perceived more as a philosopher-king than a Tammany pol, such an examination, coming from a highly regarded biographer and political commentator, should yield fresh insights into the Sphinx. But Meacham has chosen storytelling over analysis, offering up a genial but meandering narrative. There is some meat in the book, but finding it requires dexterity and doggedness—checking the endnotes after every ten pages or so to see what is missing from the passing panorama. Meacham has read the scholarly literature on Jefferson—some of it critical—but doesn’t let enough of this debate intrude on the storytelling, which nearly always puts Jefferson in the best possible light. Savoring victory over a trapped animal does not speak well of a future president; and a reader cannot have much confidence in a biographer who is blind to the ridiculousness of this episode. Similarly, Meacham has a hard time seeing the ugliness in Jefferson’s unsavory (to say the least) sexual advances to Elizabeth Walker, the wife of a close friend. Conceding the obvious, that “it would have been adultery,” Meacham nonetheless offers a rather positive gloss on Jefferson’s attempts to force himself on Mrs. Walker: “Attractive and virile, a powerful and charismatic man, he wanted what he wanted, and he did not give up easily.” In this telling, lechery sounds like just another political campaign. But how exactly did he prevail? In the endnotes we find that Sean Wilentz, Joanne B. Freeman, and Ron Chernow have all pointedly asked why the Delaware Federalist elector James Bayard suddenly flip-flopped in Jefferson’s favor. Perhaps unwilling to pin prevarication on Jefferson, Meacham rather too easily blames Bayard for thinking that Jefferson had offered a deal. Reflexively averse to casting any shadow on his subject, Meacham misses the chance to probe the role of deal-making and, yes, duplicity, in presidential politics. Meacham begins his account of the presidency with Jefferson’s inaugural address and the famous conciliatory remark, “we are all Republicans, we are all Federalists.” Calling the speech “a political masterpiece,” he notes its soothing effect on Jefferson’s enemies, including Hamilton. But just a few pages later, it has all fallen apart. We hear Hamilton again savaging Jefferson, and Jefferson privately denouncing the Federalists: “Their leaders are a hospital of incurables … insane persons.” Meacham offers a couple of paragraphs of political analysis, interrupted by asides on Jefferson’s fondness for mockingbirds and his redecoration of the White House, but not nearly enough on how and why everybody had gone back to partisan loathing. More than mockingbirds, this is a topic of great interest in the Obama years. If any larger picture of Jefferson’s strategy emerges, it is the somewhat trite notion that Jefferson was able to soar while keeping his feet on the ground. Jefferson was idealistic but “he was also realistic.” At one end of the spectrum we have: “he was prepared to do whatever it took to have his way.” He “seized control and forced his will on others.” But at the other end: “His political instinct to fight only those battles he believed he could win now took even firmer hold.” Not surprisingly, Jefferson made that retreat from a battle over slavery. In his conclusion, Meacham admits that there is a big fight going on over this man and what he means to the country: “Jefferson has not had an easy time of it in recent years.” But that’s for other authors, other books. Meacham insists that his book is neutral—it “neither lionizes nor indicts Jefferson.” One regrets that a writer with his skills is so risk-averse, and does not wade into the fray; but Meacham merely shrugs that Jefferson has too many sides: “The real Jefferson was like so many of us: a bundle of contradictions, competing passions, flaws, sins, and virtues that can never be neatly smoothed out into a tidy whole. The closest thing to a constant in his life was his need for power and for control.” That last sentence, coming late in the book, raises a question that might have been taken up earlier: Was a man who so needed power corrupted by his quest for it? Henry Wiencek is the author, most recently, of Master of the Mountain: Thomas Jefferson and His Slaves.